- what happens, when you buy a McLaren and learn about steep inclines, in China. I am sorry to post another pic in this video thread, but the Pure Schaudenfreude Moment, repeats. 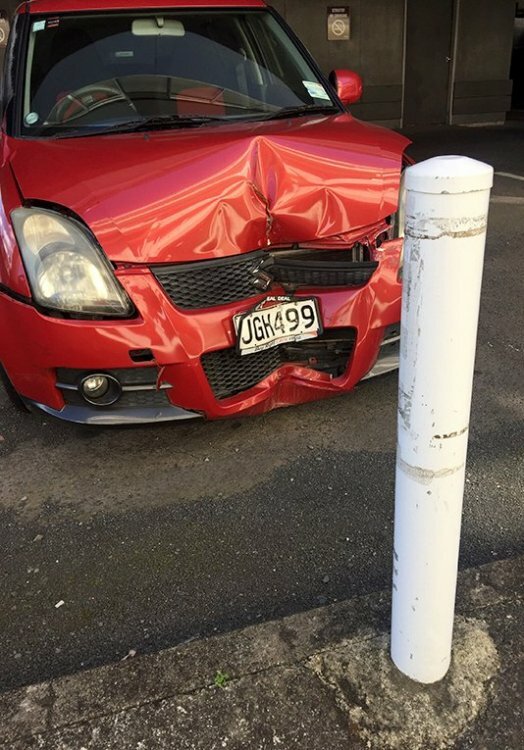 This is not so far from where I live in Auckland, the driver seemingly, has abandoned the car as it's been there for several weeks. If you look in the rear of the photo you'll see a wall, that is part of the building, that this car park is underneath. And I ask that you imagine the slow speed manoeuvring, that would have taken place, in order to get the car into position, for a "put foot hard down on the pedal" moment, "which pedal?"